Monographs and Bibliographies in American Music is a series of comprehensive and rigorous studies designed to illuminate enduring music of the Americas and significant American composers. During the nineteenth century the households of advantaged Americans were tempered by a widely accepted parlor culture that informed the construction of gender and so many other related aspects of society. Central to this way of life was a set of expectations and behaviors for the American woman—in fact, an ideal. In spite of dangers and excesses well addressed at the time, the cultivation of musical interests by young women was encouraged and admired. Professor Meyer-Frazier has turned her attention to this subject with a thoughtful study of the sheet music collected by girls during their years of education and courtship. A large number of these keepsake volumes of so-called “parlor music” survive and bear witness to the lives of their owners. 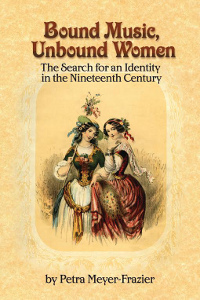 With the benefit of period literature and recent scholarship Dr. Meyer-Frazier places these documents in context and considers their nature and meaning from a variety of sociological and musicological angles. Nine lucid essays are enhanced by biographical vignettes of representative collectors and by iconographical examples adorning sheet music covers. 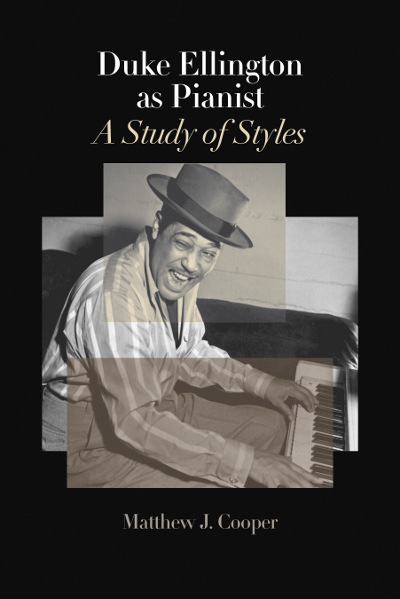 This volume by Matthew Cooper represents the first book-length study devoted exclusively to Duke Ellington as pianist. As such, it should be regarded as a substantial contribution to the Ellington scholarship for the very reason that the piano was central to the Duke’s achievements as a musician. He composed at the keyboard; he improvised at the keyboard; he led his musicians from the keyboard; and he—as the leading member of the rhythm section—delivered the fundamental energy of his creations on the keyboard. In his consideration of both representative and landmark recorded performances, Professor Cooper reports the views of a host of authorities and provides original commentary. He identifies three practices in Ellington’s piano work: an early foundational stride style, a style typical of his swing maturity, and an atypical, post-bop / modern style. What might be understood as rather fascinating is that Dr. Cooper argues that all three “existed side by side from the 1940s (or perhaps earlier) until the end of his career.” The author’s conclusions are supported by copious transcriptions. 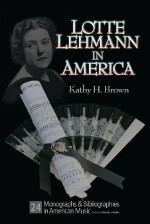 Kathy H. Brown focuses on the nature and content of the teaching of soprano Lotte Lehmann (1888-1976)—with an emphasis on interpretation of the text—after her immigration to the United States. Advice culled from the transcripts of voice lessons and master classes as well as from questionnaire from students is provided for two-hundred-twenty-three art songs by twenty-six composers and twenty-five arias by twelve composers. This is preceded by summaries of Lehmann’s careers in the opera house and on the recital stage in Europe and America. The volume is illustrated with fifty black-and-white photographs and the black-and-white reproduction of thirty-eight paintings by Lehmann herself in response to specific lieder by Schubert and Schumann. 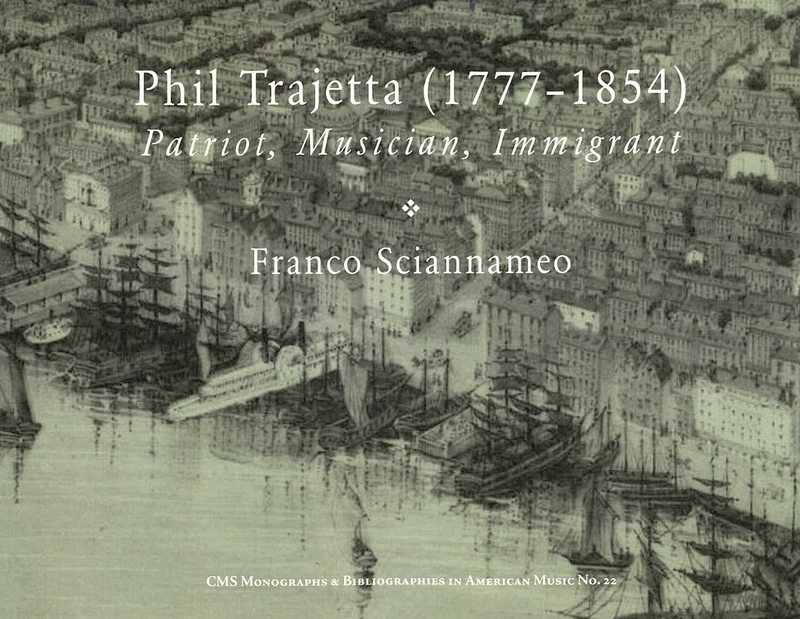 The tale of Phil Trajetta (1777-1854) is marked by the intrigues of youthful passions, war, imprisonment, and escape as well as travel, adventure, and entrepreneurial schemes. The son of a famous musical father and the bearer of impeccable musical credentials, he traveled to the United States in 1799 and devoted his life to musical endeavors until a few years before his death in 1854. His career as a composer, performer, and educator was prominent and entirely respectable. In fact, he founded viable musical conservatories in Boston, New York City, and Philadelphia and, with a sojourn as a violinist in Charleston, South Carolina, placed himself in the four leading centers of music in the United States of his day. He was the creator of secular compositions as well as sacred works. He was the author of theoretical tracts that enjoyed several reprintings. What adds special interest to his consideration is that his original homeland was not located on the British Isles or in Germanic states but on the Italian peninsula. His musical experience and his point of departure, as a result, were not as common in the new American nation as those of his British- or German-born peers. Franco Sciannameo's study of Trajetta is the first in the English language. A facsimile edition of his treatise An Introduction to the Art and Science of Music (3rd ed., 1873), modern editions of representative compositions, and a catalogue of extant works are presented alongside commentary in which the known details of Trajetta's life are documented and contextualized. There is no apology in his advocacy of American-made music just as there is no reason to question the significance of revered European masters. 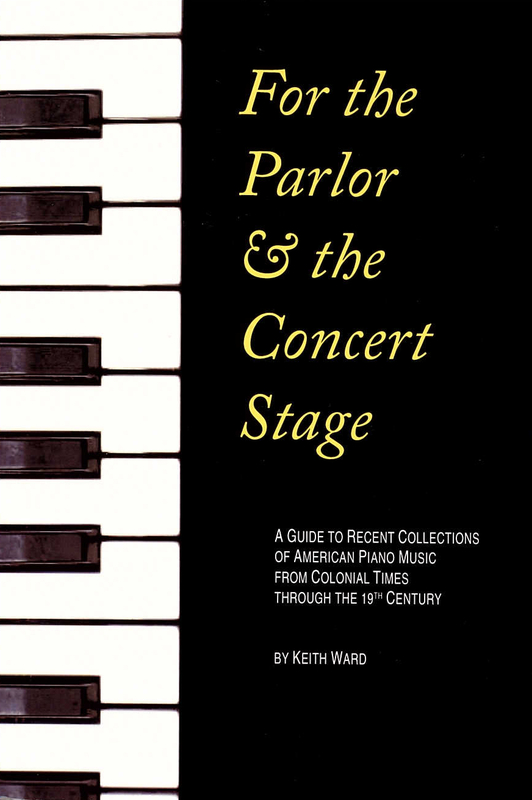 Instead, he argues eloquently for making a place for American piano music again in the American parlor and on the American concert stage, where it once flourished. 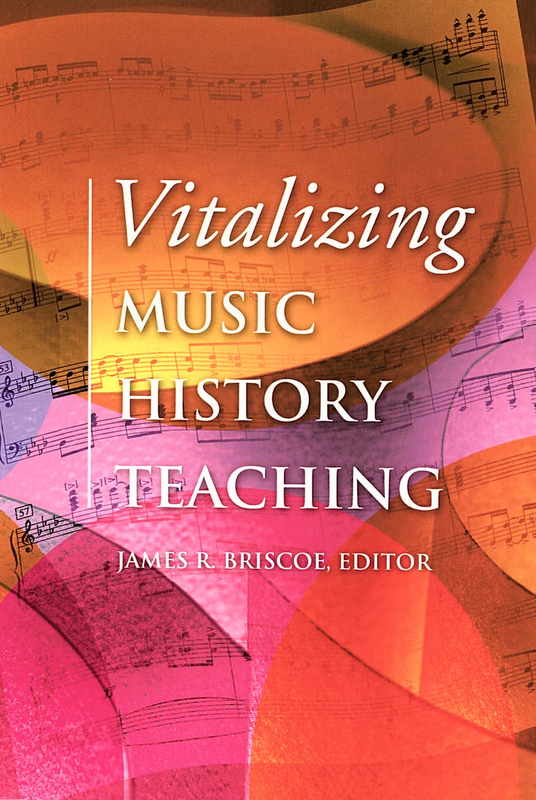 The fourteen articles in this collection raise a number of questions that teachers of music history have to be able to answer, not only for their students but also for themselves. What, exactly, is music history? Whose history is it? What, in fact, is music? What do undergraduates need to know about the history of music? Why? What does one semester or one year, or even a two-year sequence, permit the instructor to cover? Why is a teacher necessary in the era of the Internet? How should limited class time be filled? With which topics? As a series of lectures? As discussion sessions? Listening to music? Looking at scores? Engaging in musical activities? Going to events? What should be assigned—reading, listening, writing, keeping a log, preparing a read-through of a composition—and why? The articles that follow do more than raise questions. They invariably suggest and prescribe answers, as well as recommend approaches to teaching. Veterans and novices alike who teach undergraduate music history cannot fail to enrich their students’ experience by reading these essays and incorporating the advice found in them into their own pedagogy. Teacher’s goals should be to put them all on a course of discovery by knowing how to use every available resource and to inject them with a passionate curiosity and a visceral delight in learning. This book will help at least some of us attain these goals! During the years between the onset of the Civil War and the armistice of World War I music in American life flourished as never before. Some American musicians of the era remained mindful of their European counterparts while others concentrated just as enthu-siastically on expanding local traditions. Their achievements were many, as well as influ-ential of later developments. The lively music business, initially led by a network of regional publishers, coalesced into a centralized commercial giant and made New York City's Tin Pan Alley legendary. The wind band movement took hold in towns and cities to become a staple of public entertainment and public education. Now-venerated institutions and ensembles were founded and cultivated. The quest for a distinctively national concert music attracted many champions. A "golden age" of music criticism transpired, thanks to the propagation of journals and newspapers. The emergence of ragtime and jazz in the African-American community and new trends in social dancing transformed the landscape of entertainment music. New technologies revolutionized the dissemination and preservation of performances of all kinds. For this volume Dr. Bill F. Faucett has selected a cogent sampling of the published commentary of participants and observers responding to such developments. His anthology offers readers a fresh opportunity to reconsider a formative era in American music history. Many commentators have observed that the influence of jazz and related popular musics on musical practice beyond American borders should be considered one of the most dynamic developments of the twentieth century. This collection of essays concentrates on American influences in Germany, where such unlikely "foreign" elements enjoyed a remarkable vogue for much of the past century, not only in the realm of popular culture but in the realm of high art as well. Against the tumultuous social and political upheavals of modern Germany there evolved a fascinating musical sound track that introduced German musicians and their public to ragtime, spirituals, the blues, later dance music, and jazz with resulting opportunities for imitation and assimilation. In this volume American scholars from various academic perspectives—Alan Lareau (German studies), Frank Tirro (musicology), E. Douglas Bomberger (musicology), Dane Heuchemer (musicology), Kathryn Smith Bowers (music education), and David Snowball (rhetoric and communication) are joined by German musician-scholars—Joachim Lucchesi, Carlo Bohländer, and Heinz Werner Zimmermann. CMS announces the publication of Source Readings in American Choral Music: Composers' Writings, Interviews, & Reviews compiled and annotated by David P. DeVenney. 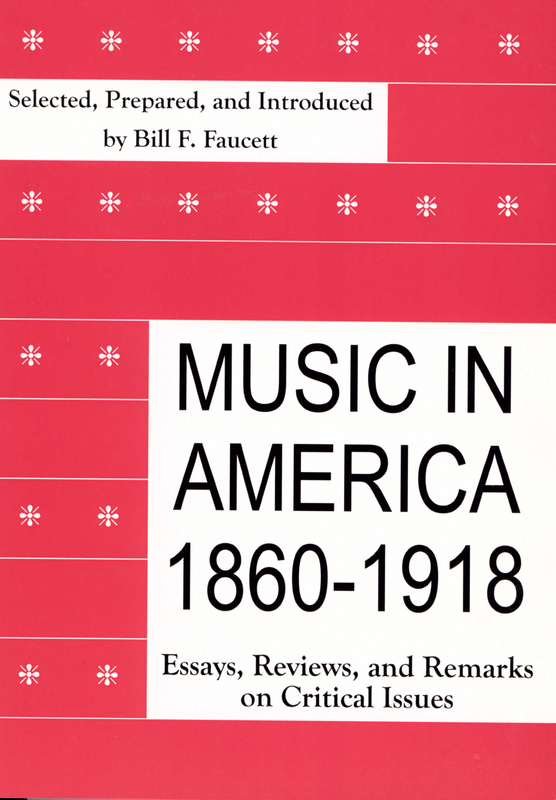 Appearing as the fifteenth volume in the series Monographs and Bibliographies in American Music, the text represents the first attempt to collect and publish significant documents that illuminate the history of choral music in the United States from colonial times to the post-World War II era. The thirty-one selections -- many reprinted in their entirety -- are enhanced with a chronology of landmark events in this history and by an extensive bibliography of relevant literature. The book is valuable as a supplementary text for university study, as a reference work, and as an important contribution to the unwritten history of choral music in the United States. Professor DeVenney, a member of the choral faculty of the University of Arizona and a champion of the American repertory in the concert hall, has demonstrated his expertise on this subject in a number of well-received books and articles. Michael J. Budds of the University of Missouri-Columbia served as editor for this project.